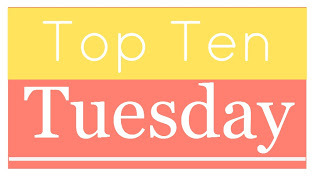 Top Ten Tuesday: My Top Five Bookish Resolutions! Read more books on devices other then physical books – I am a major sucker for a nice paperback – in fact in the past I have brought books that I’ve read on my Ipad in paperback form as well. Last year I really got into audiobooks, and I want to continue that this year. And, much as it pains me to say it – sometimes it’s easier to carry an Ipad everywhere you go then a massive book. Finish series – I am very bad at this and I hate leaving series unfinished. This year I want to finish reading the series that I forgot to complete last year! Allow myself to re-read books – This is another one I think quite a few book bloggers are guilty off – there are just so many great books out there that we don’t allow ourselves to re-read old favourites. So this year, I am not going to feel guilty when I pick up Harry Potter, or The Hobbit. Read Slower – This might be an odd resolution, but sometimes I devour books so fast that I miss things, or just don’t enjoy stuff as much as I should! So this year I am going to read more slowly. So those are my resolutions. What are you changing about your reading habits in 2014? These are great resolutions. It’s all very ambitious and I hope you can achieve them. I’m especially glad that someone else thinks it would be fun to try and read more slowly, just try to soak up everything. We really care about numbers here in the blogsphere and I sometimes worry that we care about that more than we should. Which is also why I admire that you’re planning to reread some books. I’ve come upon a challenge that includes around 2 or 3 categories for rereading books, so I’m setting up for that as well. Ahh thank you – yeah I definitely agree that soaking up everything about a book makes the reading experience better! That’s a great idea for a re-read challenge. Happy reading to you too! They are great resolutions. Mine are similar especially finishing the books on my shelf before buying more. My kindle is loaded up and so is my bookshelf so it’s time to actually did down and devour those. Thank you – yep that is definitely my main goal – I just have so many to read and I can’t just keep adding to my TBR pile! We have some similar goals this year. I definitely need to get through books that I’ve already got. I hope you achieve your goals!